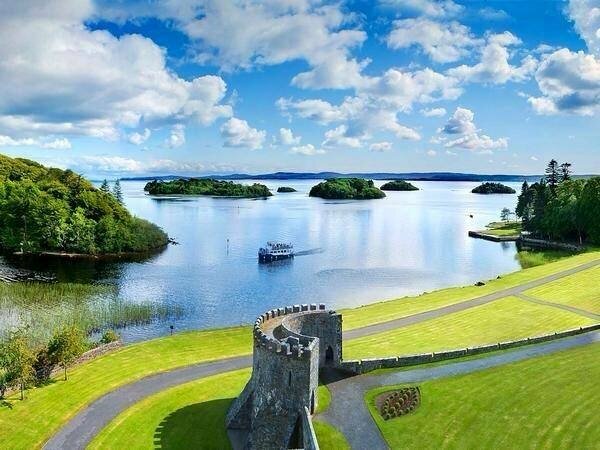 You can take a pleasure cruise on Lough Corrib from either Ashford Castle or Oughterard during the summer months. Lough Corrib is the largest lake in Southern Ireland and archaeologists are only just beginning to piece together how important this lake was in terms of trade and connectivity in the area with the recent discovery of several, perfectly preserved 5000 year old boats on the lake bed. Historians already knew of its religious significance with the renowned holy island, Inchagoill, recorded in the Annals of Inishfallen in 1193. 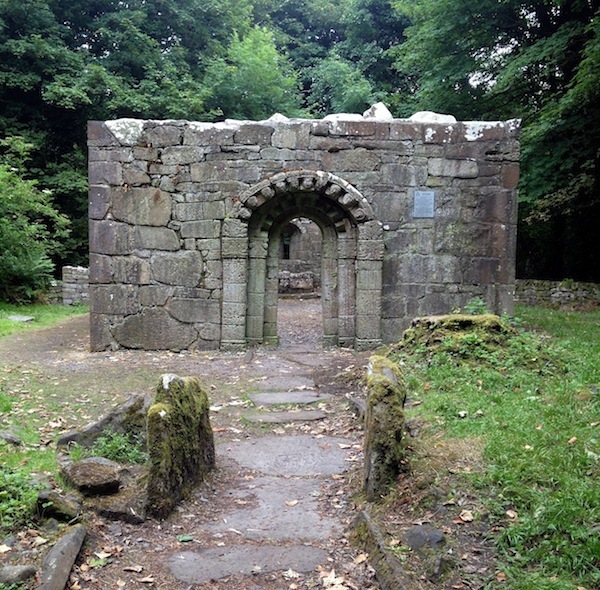 Where St Patrick built a church and his nephew, Lugna the navigator, is believed to be buried which will be your first stop on the Lough Corrib boat cruise, if you are travelling from Oughterard. But first you have to take in the magnificent back drop of the Twelve Bens mountains in Connemara and the fabled Hill of Doon, the last stand of original evergreen oak forest in Europe. Inchagoill (island of the foreigner) refers to St Patrick who was banished there by pagan chieftains of the area, although there is much evidence to support the theory that Inchagoill was a sacred place long before Christianity came into play as the Church of the Temple of the Saints stands with an ancient stone circle. St Patrick's own church is a little further away on a small mound, beside which is the Stone of Lugna. Shaped like a ship’s rudder, it is the oldest Christian inscribed stone outside of the catacombs in Rome and it reads...."Lia Lugnaedon Macc Lemnueh"(the standing stone of Lugna son of Limanin) who was the sister of St Patrick and a navigator believed to have discovered the Americas, long before Christopher Columbus. The sanctity and peace on this island is quite palpable and one can easily understand what drew those early saints here. The cruise continues on over to Ashford Castle, which belonged to the Guinness family once upon a time, although the earliest castle was built there by the De Burgos, one of the twelve tribes of Galway in 1228. The Norman De Brun (later Brownes) added the French style chateau in the 18th century, while the last Guinness heirs, Lord and Lady Ardilaun, developed the extensive grounds and estate. The boat stops here from 2pm-5pm which you will allow you plenty of time to walk up through the woods to the village of Cong or take a hawk walk with the Irish School of Falconry on the grounds, which is one of the Top 10 Things to Do in Ireland in my opinion. 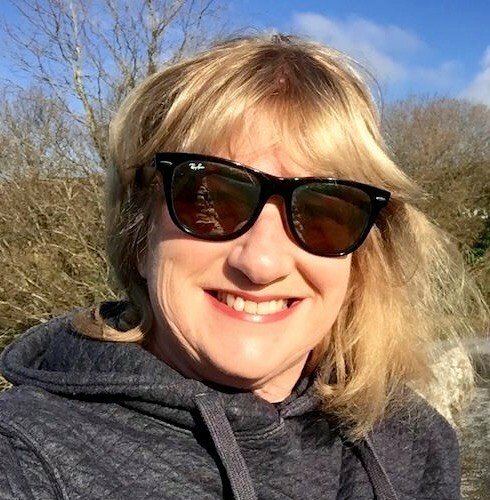 Options for lunch include, Cullen's at the Cottage opposite the jetty or you might like to have Afternoon Tea in Lady Ardilaun's Drawing Room in Ashford Castle, which is as sumptuous as the decor, but needs to be booked in advance otherwise the castle is off limits to non-residents. 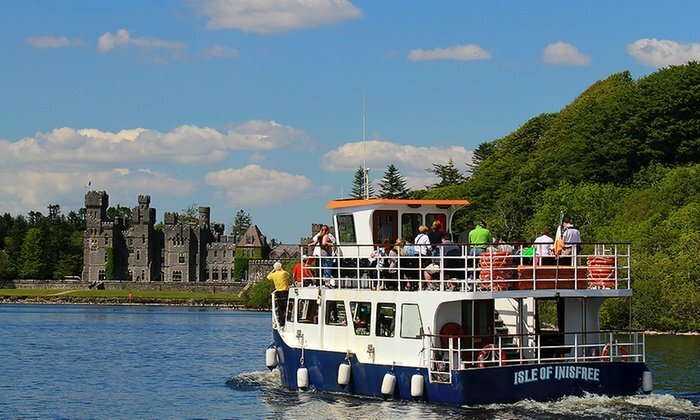 A cruise on Lough Corrib is a wonderfully relaxing and informative day out, especially if your driver fancies a day off! You will see just as much scenery and probably learn more about our history and culture than if you had spent the whole day driving around Connemara. Corrib Cruises are owned by the Luskin family who are all very knowledgeable and experienced guides and put their upmost into making it a pleasant day out for everyone on board. There is even a little bar on board for refreshments and often a bit of music as well, adults cost €28 children up to 16 / students €10 and the boat leaves from the pier in Oughterard at 12pm daily, weather permitting of course! For more information on Ashford Castle please click here.